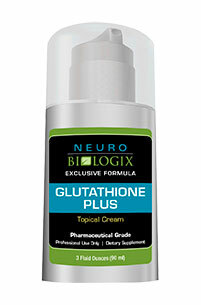 40 mg of Glutathione Per Pump! Enhancing the Immune System - Your body's immune activity, involving unimpeded multiplication of lymphocytes and antibody production, requires maintenance of normal levels of glutathione inside the lymphocytes. As a solution, our unique liposome-mediated delivery system, is a glutathione cream with supporting raw materials and co-factors involved in the methylation process needed to enhance the efficacy of the glutathione.